Our firm excels in rendering a qualitative gamut of Fumigation Products, which is offered to the clients at leading market prices. Our Products are as per PPQS, NSPM, AQIS norms. We provide free consultancy services to our clients for licensing of MBR (METHYLE BROMIDE) & Aluminium phosphate fumigation (ALP). Since last 15 years we are serving the fumigation & pest control industries. Our company has been dedicated to quality & after sales service, through which our company has attained customer satisfaction. Our technical team has been constantly researching & developing new products for the fumigation & pest control service providers. Your valuable feedback will help us to provide you a better & efficient fumigation products. TEST CERTIFICATE (Dimension Test, Gauge Test, Gas Leakage Test)for Fumigation Sheet along with IS Certificate is Issued. As Per PPOS/NSPM norms. Bright Medi-Weld Appliance introduces full Stainless Steel (GradeSS 304) light weight Atmospheric Vaporizer with 999 grade detachable copper coil.The copper coil is 12mtrs long ( As Per PPQS/Australian Quarantine). The thickness of copper coil is 16-gauge. The outer diameter is 12mm. All points on the coil are silver brazed. The S.S. tank points are argon welded which ensures safe operations even at high temperatures. Heat resistance handle so that you can lift the Vaporizer safely. The copper coil is hydraulically tested at 2000psi. We are the manufacturers of a quality range of Can Applicator that is specially designed for the can applications and is used by professionals. 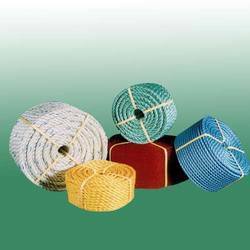 Soft Grip Rubber liner which ensures leakage free delivery of Gas. The applicator dual handle ensures proper grip on the Cans. Helps in easy piercing & avoids Drop off. The outer groves of¿¿ S.S. nozzle ensures a firm grip on the pipe & no need of any external connection tips. Our firm is engaged in rendering a superior quality gamut of Plastic Canisters to the clients at nominal rates. These exist in the gas masks, which possess filters for preventing the toxic agents in the air from entering the body. As per IS:15323:2003 Approved. 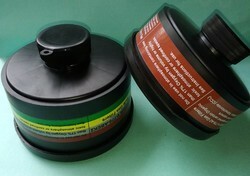 The canister container are produced from virgin grade polypropylene. Filter can be used in combination with full face-piece V-666.Standard thread for 5000ppm. 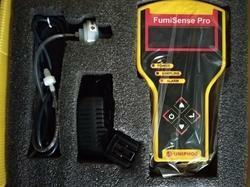 It can be used to detect leaks from the fumigation chamber/Cover. Monitoring¿¿equipment capable of measuring methyl bromide concentrations with a¿¿range between0-200 mg/l. < Data logging facility with informations like Gas_conc., Warehouse no., Silo no., Date & Time. 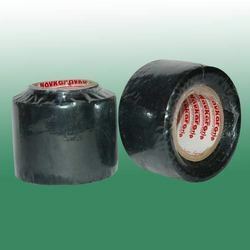 ¿¿Soft Grip Rubber liner which ensures leakage free delivery of Gas. ¿¿The applicator dual handle ensures proper grip on the Cans. Helps in easy piercing & avoids Drop off. ¿¿The outer groves of¿¿ S.S. nozzle ensures a firm grip on the pipe & no need of any external connection tips. ¿¿The¿¿ S.S.back pad provides proper adjustment of the Can. The S.S. Central pivoted needle pierces the Can with ease. ¿¿CNC Machining & Grinding is done to Make Robust¿¿ S.S nozzle. 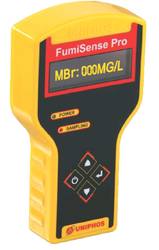 Detects all kinds of halogenated GASES . The unit responds to all halogenated GASES (with Chlorine,Bromine and fluorine included) - Single ColourLED display with 6-Level Leak Alarm. - Real time sensitivity adjustment. 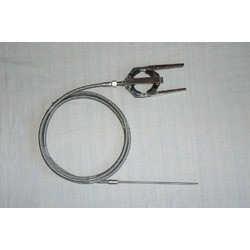 - 14 inches (35.5cm) flexible stainless steel probe. Specification and parameter - Working Mode ¿¿ Continuous and no limit. - Reaction time Instant. - Warm-up about 6 sec. - Power Supply 3VDC (2 quality batteries). - Systems and storage / recovery containers. 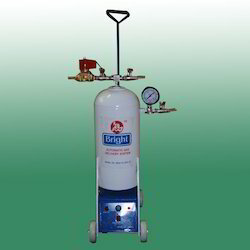 The unit responds to all halogenated (with Chlorine and fluorine included) refrigerants. - Detects Ethylene Oxide gas leaks in hospital sterilizing equipment (it will detect the Halogenated carrier gas). - Detects SF-6 in high voltage circuit breakers. 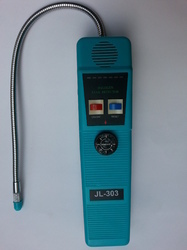 - Detects most gases that contain Chlorine, Fluorine ad Bromine (Halogen Gasses). - Detects cleaning agents used in dry cleaning applications such as perchloroethyl. 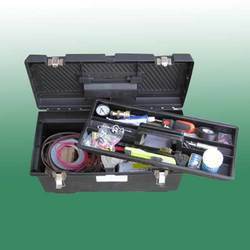 Bright Medi-Weld appliances brings to you a wide range of mild steel & fiber Tool Box. We manufacture customized tool boxes as per clients demand. Bright Medi-Weld Appliances™ presents a hi-tech precised Automatic Gas Delivery System(Timer Device) with in built automatic preset logic which makes it a one-button operation system. Bright Medi-Weld Appliances introduces IS Approved Adhesive And Sealing Tape. Brand: Navakar. As per PPQS norms. 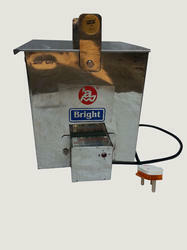 Bright Medi-Weld Appliances presents a range high quality Plastic Ropes to hold the fumigation sheets properly. 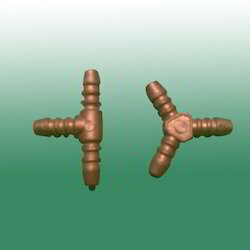 Bright Medi-Weld Appliances manufactures brass extruded Y/T connectors which are suitable for connecting gas distribution pipes. As per PPQS/NSPM. Bright Medi-Weld Appliances™ introduces Finger Manifold which is used for pressure testing of containers. 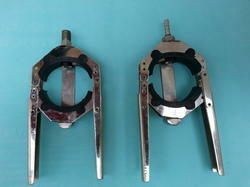 The finger manifold is made in accordance with the standard specifications. All points are silver brazed. 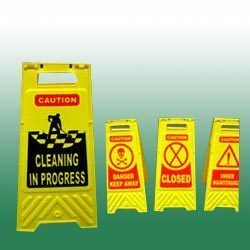 We are involved in rendering a qualitative array of Safety Signs, which is available to the clients at leading market prices. By placing these on the roads, we aim to eliminate the varied kinds of road accidents like death, injury or the damages done to one's life or property. Our range comprises sign boards, guidance boards and the direction boards so as to guide the people at red lights as well as about dead ends. 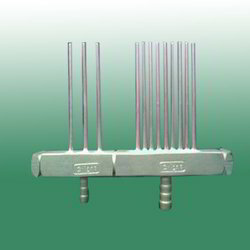 Dual Handle Stainless Steel Applicator model No: ¼ BSP + teflon (Chemical Grade Pipe) with stainless steel (Grade: 304) braiding provides effective container fumigation. PVC nylon braided pipe that is connected to the applicator model : AR 65 SS for container fumigation tends to burst or leak after 10-15 container fumigation. Hence our company has developed a full teflon (chemical grade pipe) with stainless steel (Grade: 304) braiding. It consist of ¼ BSP nut that fits easily to applicator model: ¼ BSP, 3 meters of full teflon (Chemical Grade Pipe) with stainless steel (Grade: 304) braiding which ensures safe & leakage free delivery of MB fumes with Thrust.The Pipe is flexible & light in weight (Approx=300gms).We provide a no leakage warranty for 8 months. 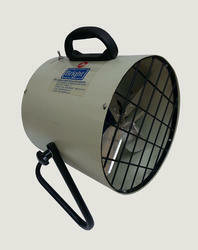 Looking for MBR ALP FUMIGATION EQUIPMENTS ?